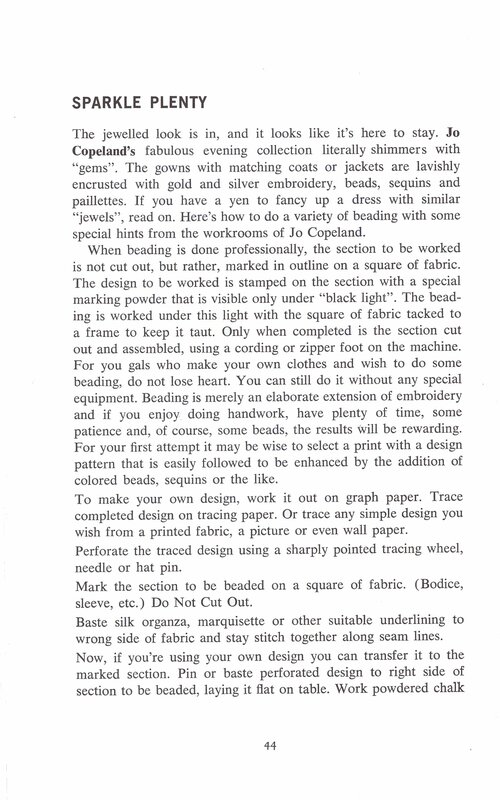 Thank you all for following this series of post about 60’s designer sewing tips by a little known pattern company call Spadea, you can find more about this company’s history here at Fuzzy Lizzie. The Vintage Traveler took the leap and actually contacted the mother Anne Spadea Combs, and it sounds like a really informative conversation, I think you’ll enjoy it check it out. Take special note that the Duchess of Windsor Collection for really for the Duchesses and that relationship lasted over ten years. Alan Graham, Anne Fogarty, Brigance, Ceil Chapman, Charles LaMaire, Charles Montaigne, Dinah Shore, Eguzquiza, Fontana, Harvey Berin, Herbert Sondheim, Lachasse, Leo Narducci, Tina Leser, Mollie Parnis, Nancy Layton, Norman Hartnell,Roberto Capucci, Simonetta, Veneziani, Vera Maxwell. I will outline a few below. 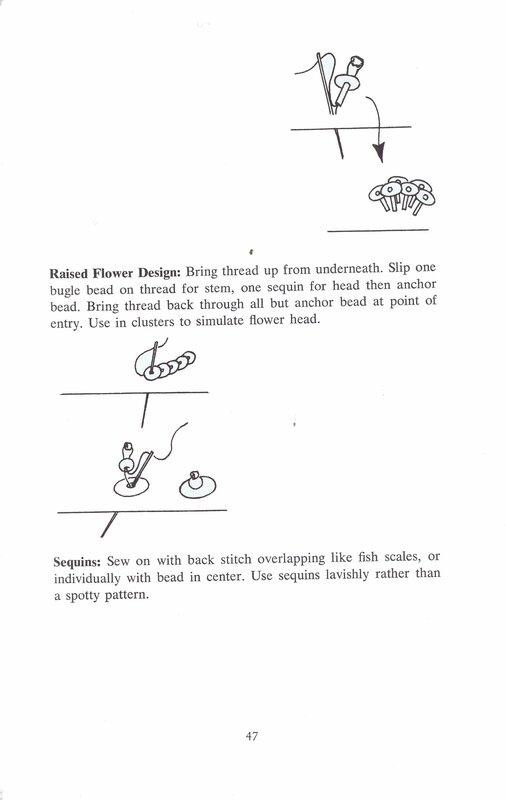 According to the Vintage Pattern Wiki Alan Graham created about ten designs for Spadea, unfortunately I could not find a Biography for Alan. Anne Fogarty was part of the American Designer Series by Spadea. Wikipedia published an extensive bio, but if you want to see images, check out Fuzzy Lizzie once again provides a nice history and some really nice eye candy to boot. You might want to check out “The Well Dressed Wife” it would make a splendid addition library. I would now like to focus on Tom Brigance relationship with the pattern publisher, it looks like he created about 12 designs which are illustrated noted on the Vintage Pattern Wiki. Pinterest provides a Gallery of designs by the iconic fashion designer. also checkout Couture Allure for one of his most desirable designs — you’ll find is still in demand today. Ceil Chapman is another contributor to these classic styles you can see more of those designs at the Selfish Seamstress and a bit of background, Squidoo is also one of my favorite places checkout this wonderful lens on the designs at classic Vintage Old Hollywood Style . According to what information I could find Charles LaMaire, was a prolific costume designer for some very famous movies such as All About Eve staring my favorite actress Betty Davis. I could talk all day–but check out his works here on Pinterest. 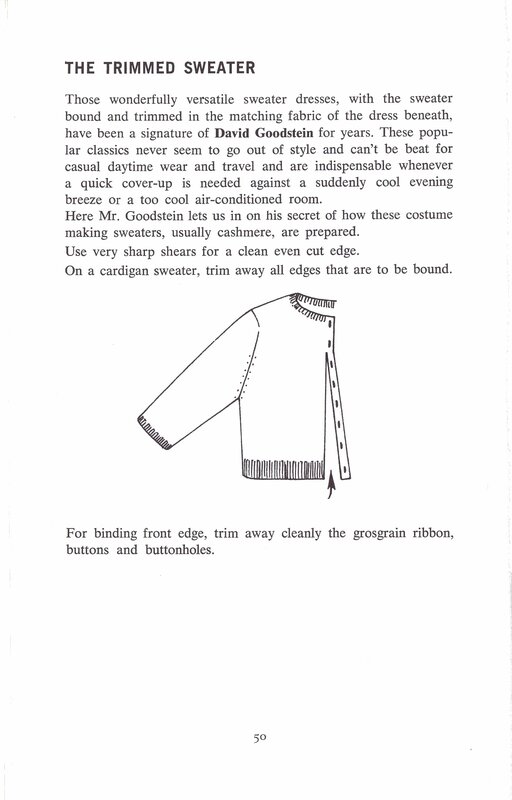 The book Designer Sewing Tips By Spadea Pattern Company is a gold mind of tips and techniques and my copy is securely in my sewing library, but I love to share and you can find every page at my Free Vintage Patterns Dazespast, soon each tip will cataloged by page so enjoy! The cover image Hat is by my up and coming designer friend Mary over at MaryGwyneth Designs or her Facebook Page. 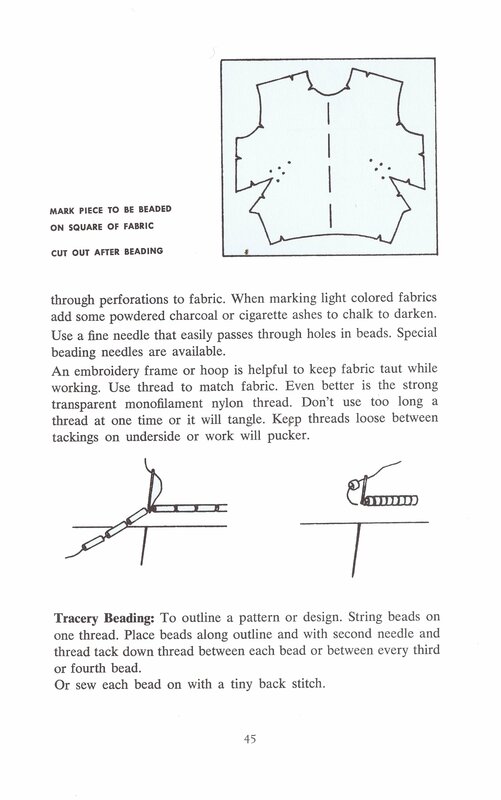 You can find other articles about the Spadea Sewing techniques by following these links. I’ve written nothing at all about my love of fashion dolls–the dolls are amazing but the doll-sized couture is what makes me go Wow! stay tunes for the best of the best in everything that dresses and furnishes today’s dolls all with a vintage flare. 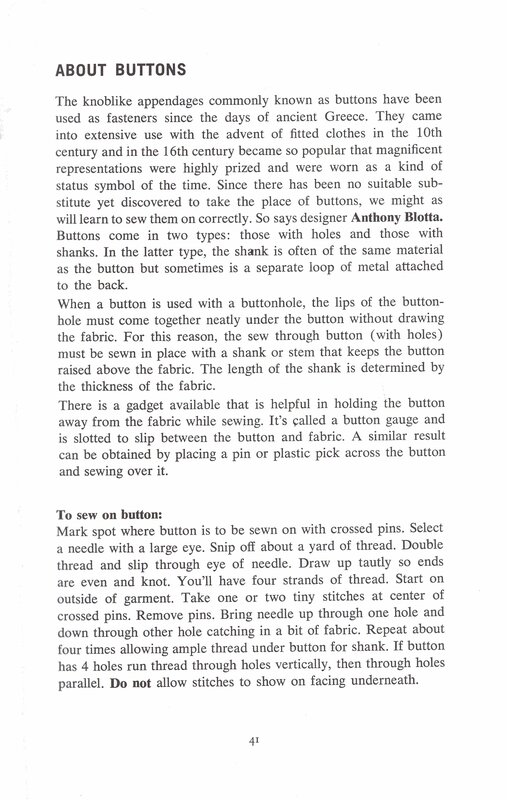 Here’s the latest collection of Spadea Designer Sewing Tips covering pages 40-53. Enjoy! 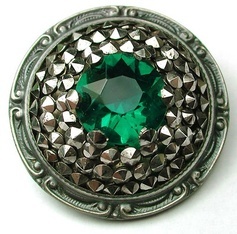 I love jeweled buttons high-end techniques not only protect the fiber but it just gives your project that polished finished look. When you think about it these cost are costly in a lot of cases one of a kind so attaching them properly is a must. Take a look at theses gorgeous from Pinterest. 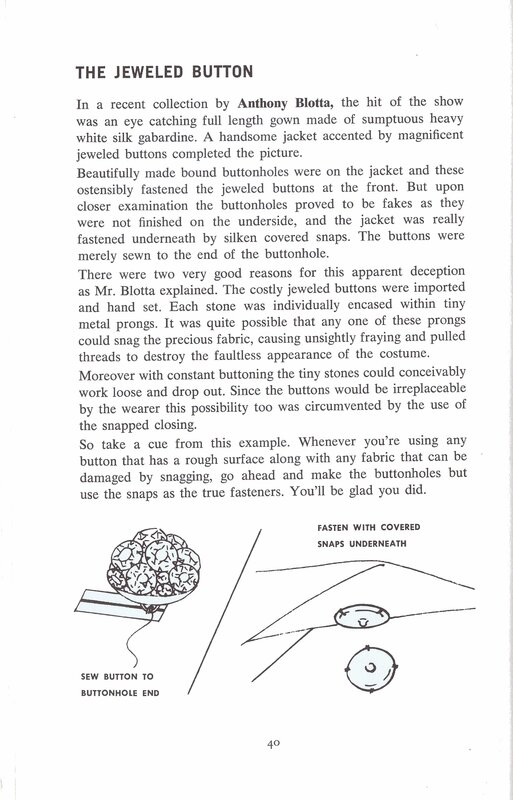 If you like collecting buttons or just like looking at antique and vintage buttons, here’s three books from my personal collection you might find useful. By all means, please suggest books that you like. 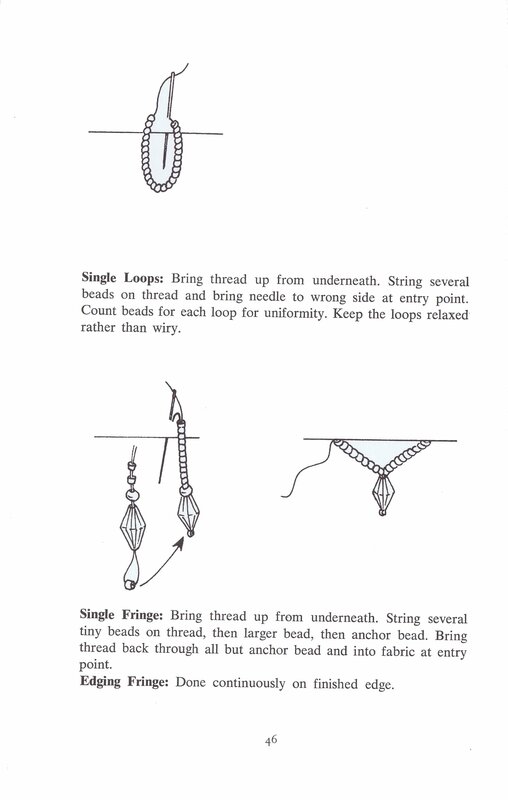 Covering snaps and hooks and eyes..what’s your favorite finishing technique? Here are a few websites and books I have bookmarked and Books in my library. Beads East, let me knot what you think about the site. 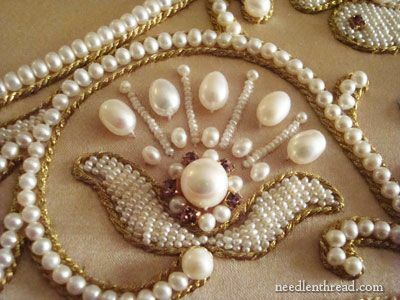 A Beading Lesson: Beaded Chain Stitch with Nancy Ehaa, what do you think? 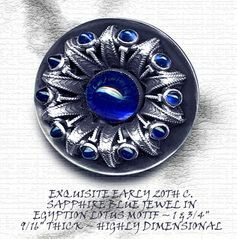 Before I forget–I need to let everyone know that I am now participating in the Amazon Affiliate program. The books you see with links, I receive a commission for each one sold. I buy most of my books from Amazon, eBay, Albris or ABE each book in the link is one I already have in my library. It’s been two weeks since my last blog post, during that time away my hard drive failed and I couldn’t think of anything interesting to write about–primarily because I am worried about my data being lost. I didn’t want to just list patterns with “press this”, that’s not interesting and it wouldn’t give you my readers a reason to check in.. 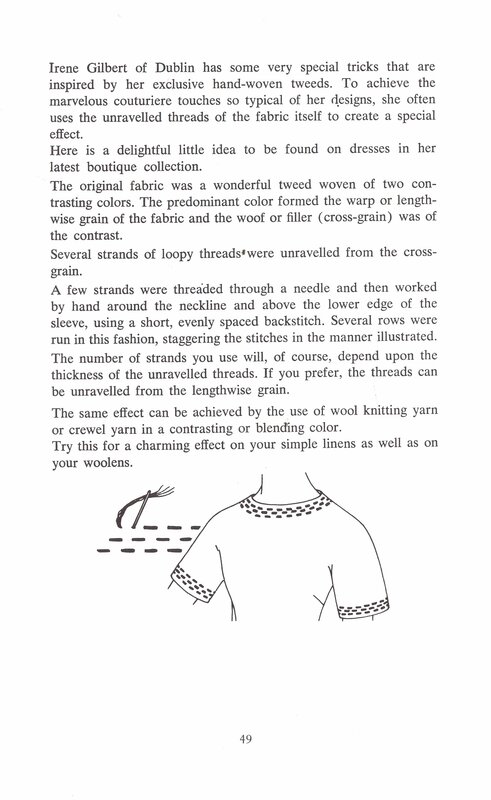 I decided on combining two of my passions, the first being my love of dramatic detail on relatively simple pieces as shown in this post titled Vintage Sewing Pattern Fashion Trim Detail a few weeks back with my passion for fine sewing techniques. 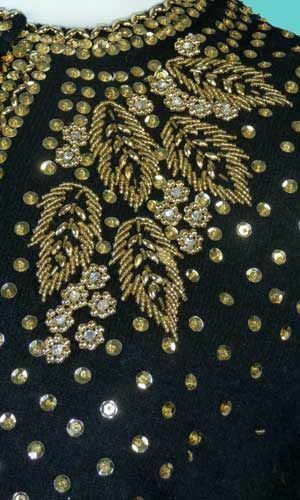 The art of couture sewing is slow sewing–these are not quick or simple but they are works of art if executed properly. Since I really needed to replace my sewing bookmarks, I decided to share the websites and resources that I found interesting. 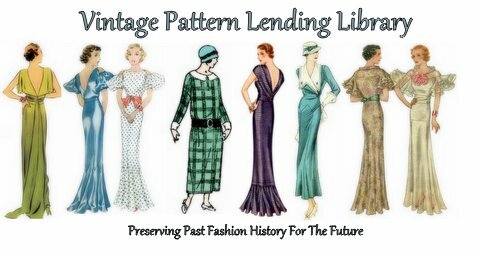 First I would like to recommend the Vintage Pattern Lending Library, it’s well worth the membership. 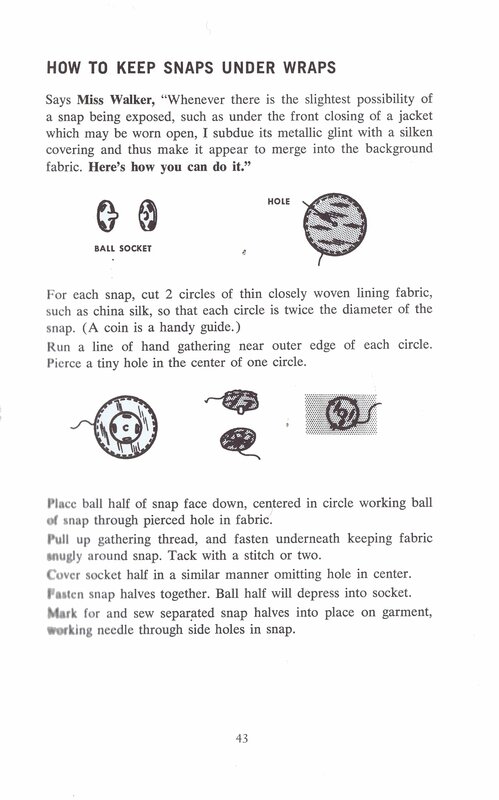 It is a great source for vintage patterns reproductions from the 1860s through the 1950s. If you venture into the world of period reenactment and costuming, it’s also a fine place to checkout. Sewaholic is next on the list, I especially like her Sewtionary, I think that’s a new word, this page is a visual encyclopedia or dictionary of hand sewing techniques. 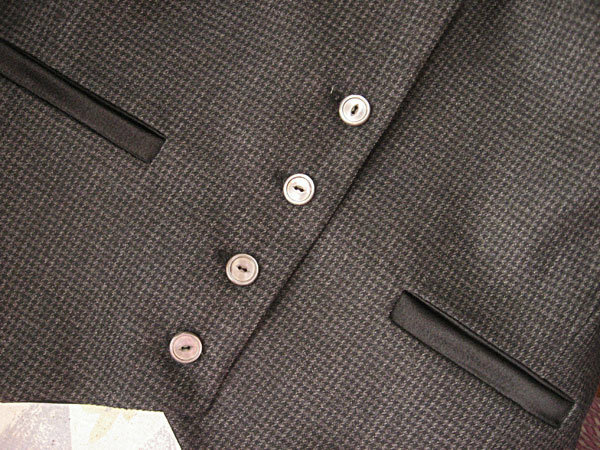 Here’s a tutorial on making Bound Buttonholes. 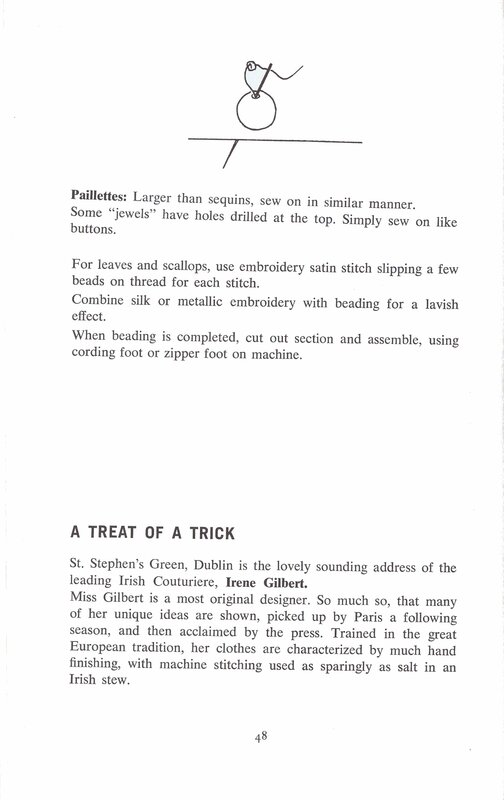 In her post ‘A little vacation reading: Couture Sewing Techniques”, her definition of couture sewing is spot on. 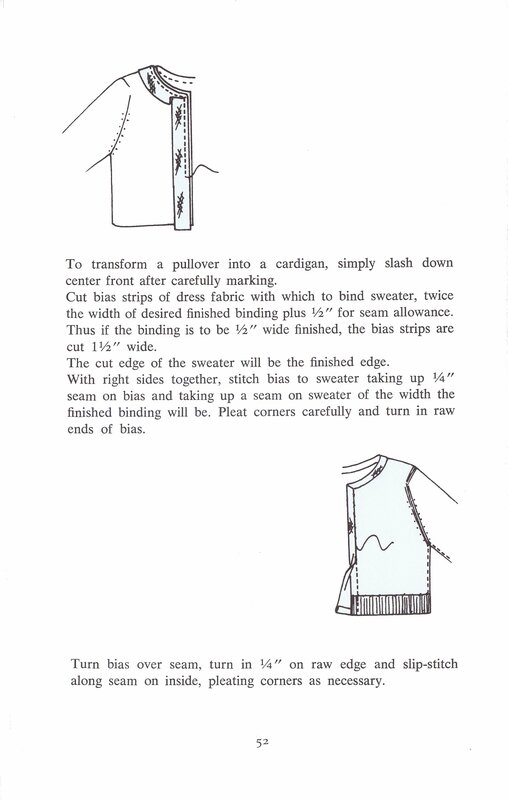 Are you intimidated by Welt Pockets, here’s a crash course with step-by-step images to guide you through the process. LLadybird took plenty of pictures and provides a really good step by step–remember measure, mark and cut only after measuring and marking once again. 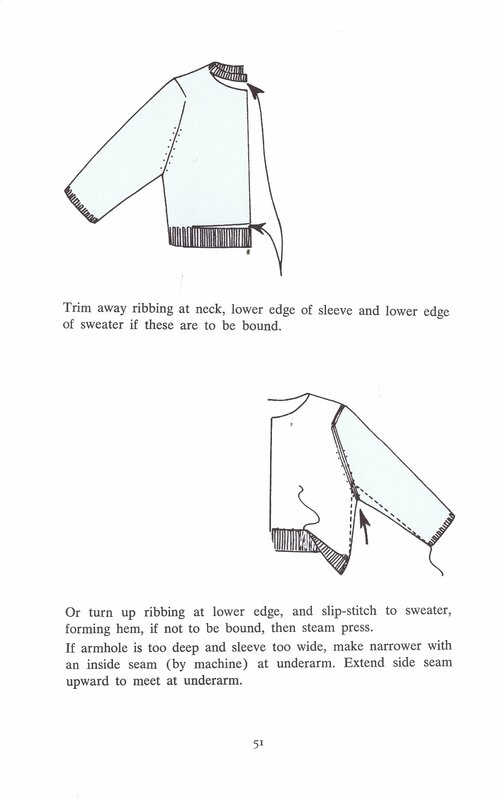 There are many other techniques that include hand stitching, quilting, lining, underlining, rolled lapels and much more, so I will end part one of this series with links to what I think is a great blog for advanced sewing tutorials. 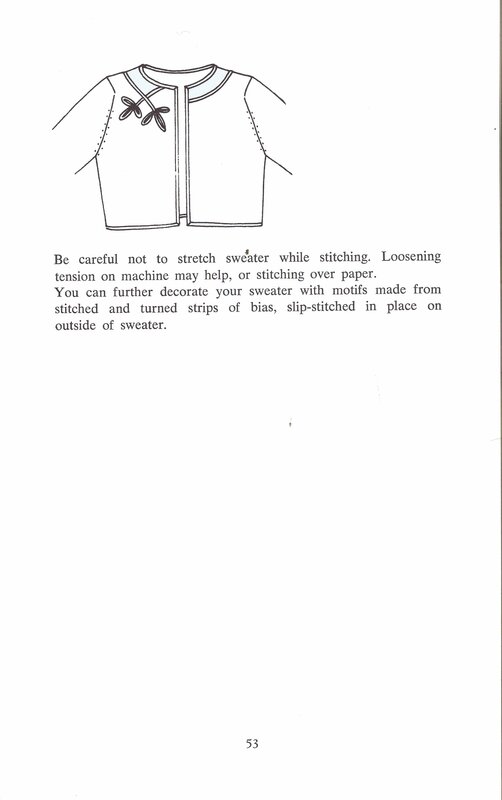 Checkout Frabjous Couture, the tutorial is for a Boucle Chanel Jacket with a silk charmeuse lining quilted to support the shape of the jacket because boucle has a tendency to stretch our of shape and you end-up with the lining hanging below the hemlines. This is a three-part tutorial. “Inside the Chanel Jacket”, first appeared in Threads magazine in the October/November issue 2005, number 121, pp. 34-40. 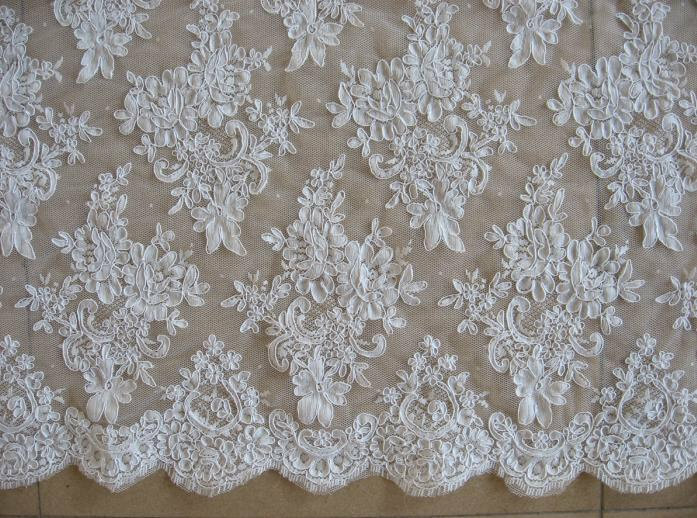 Tell me what are your most challenging sewing technique? 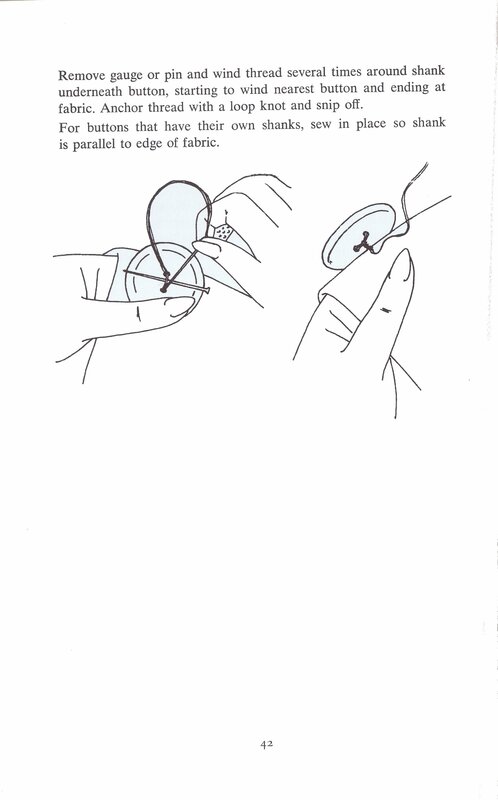 Part 2 will cover hand sewing techniques.